I just got that information over on answers.launchpad.net. That worked. Thank you. GNOME Terminal is useless on Unity session - it does not have keyboard mnemonics - see bug 1785444. It has become more and more difficult for me to code at the keyboard due to my current health issues. Khurshid has been doing all th heavy lifting as team captain and it is not fair to expect him to do all the work on this. I am currently waiting for a ergo-friendly chair that would reduce some of the RSI I have been experiencing. Anyone can make a unity-respin if they wish. I do have a Canonical License which basically belongs to the team but I am not able to use it atm due to limitations. If the situation changes where I can contribute more consistently and we can get others to commit then an official distro status is not too far fetch to think about. The other problem is that once we become official them we have a responsibility to maintain and we currently do not have the manpower to do so. Hope you’d find that chair and get to the work you love. Usually doing what you love to do becomes the medicine. Btw, I think @ccm27 is saying/asking is about creating a respin, for which no license is needed. The respin wouldn’t be be named Ubuntu, but be using Unity that Cannonical doesn’t want/need. probably the best thing I could use would be respin, I though it would be a good Idea! I kind of had the imagination of the guy who started elementary os, very Naive, but creating in the end a wonderfull operating system, used by many thousands. I suppose, you should at least try. Like the elementary guys, maybe you should think of your own repos too. I’ll keep everyone apprised. Still no chair yet. I had a fresh new install Ubuntu Unity 18.04.2 yesterday, I installed from minimal CD so it should be a “Clean install”. I found two issues annoying me a lot. 1, Login Screen backgound image won’t change to my user wallpaper automatically , it will keep the “purple default” whatever what i did. I checked my Home Dir’s permission and Lightdm’s log files with no luck, I dont’t know how to fix it, As i recall this feature shuold work with my Old Ubuntu Unity 16.04. Yeah I know I can change Login Wallpaper with some “hack-way”,But I don’t like that. 2, I found “Clipboard app” such as CopyQ \ Clipt \ Gpaste \ Didion will block System reboot. install copyq (or any other Clipboard app which you like) and run. It seems there is something blocked system’s rebooting. It make take 30 sec for some “Timed out” and countinue rebooting. I also checked system’s log and found nothing relate to this. I don’t know if these are bugs or not, May be I should report them to launchpad? Gnome Software Ubuntu branding (orange shopping bag) is missing / not working. Works ok in Gnome-session. I’d noticed that from the beginning but just assumed it was a new icon, not a bug. I truly hope it’s a bug and not a design decision. It’s default icon for Gnome Software (vanilla Gnome). 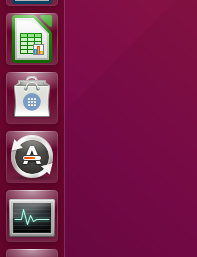 Solution: drag and drop Ubuntu Software icon from /usr/share/ubuntu/applications/ to the dock. This is known systemd issue. It prevents logout if clipboard manager doesn’t exit gracefully. I believe this has been fixed in diodon. At least logout issue. Not sure about reboot though. Something preventing it. You may want to file bug against diodon. Downgrading systemd also an option. Funny these clipboard managers are mentioned here. Clipit has stopped working in both my bionic desktop and 19.04 laptop - copying/cutting stuff doesn’t work (doesn’t register in clipit, and I can’t paste it either - it’s just not there).